Donut style. In five sizes. Trippy, but all natural pattern in six color ways blends in nicely. Seascape can get creative and fill up just about any space. Work with us to create a fixture that matches your needs. 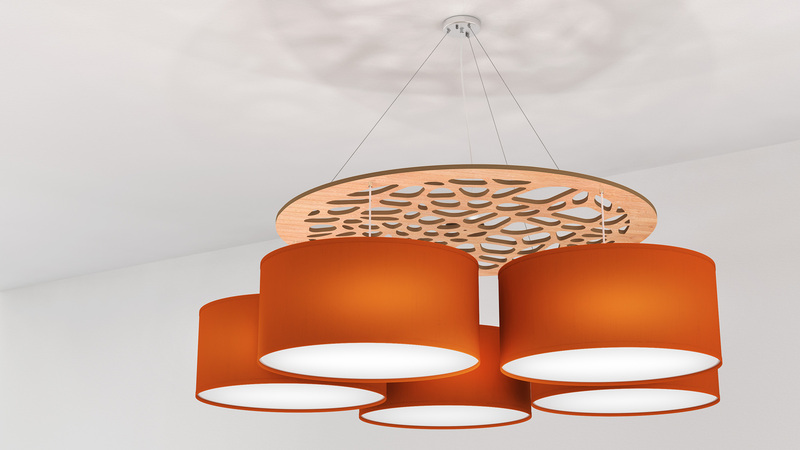 With a 6″ shade that can be partially covered with a colored poly pro or silk accent. This new linear LED light fixture comes also in a vertical variation in 18, 24 or 48″ lengths.